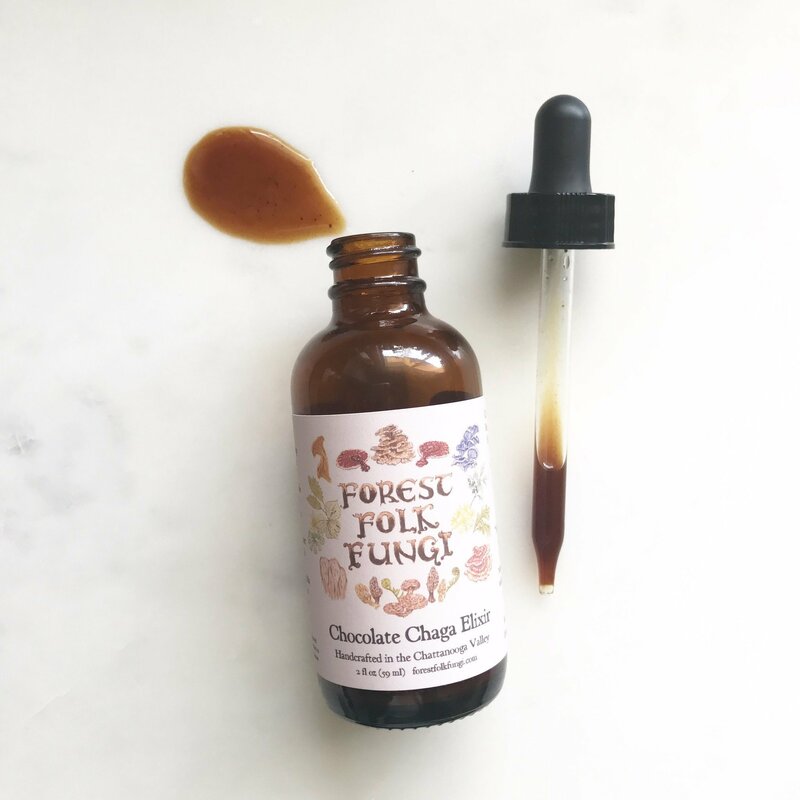 Lean back on your toadstool and enjoy a drop or three of this delicious chocolate infused mushroom elixir. With the heart opening and mood lifting qualities of Mama Cacao(chocolate, y'all!) and the restorative support of the wild chaga and reishi mushrooms, you'll be blissed out and praising this wondrous life in a matter of minutes. Let your joy sporulate!